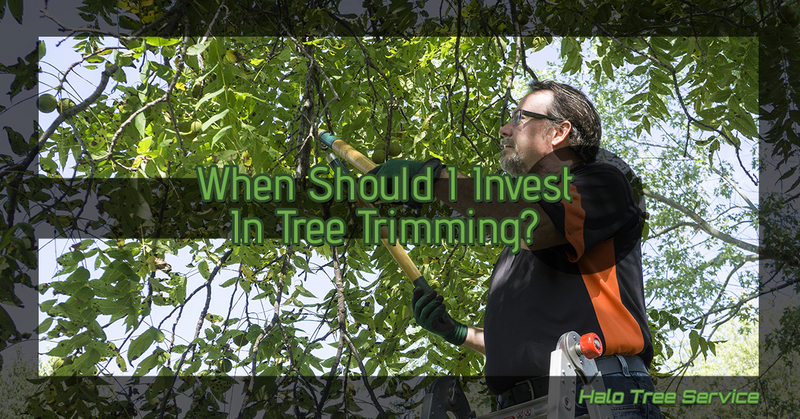 Tree Service Macomb: When Should I Invest In Tree Trimming? There are so many folks who feel the weather cooling off and start to go inside more often. They begin to clean to prepare for the influx of visiting relatives and friends. They bolster themselves against the upcoming onslaught of activities and responsibilities that the holidays and winter bring as a whole and they turn their eyes to their trees. That branch could go, the shape seems lacking in something than it wasn’t before, and they grab the clippers and step into the backyard to start clipping away bits and pieces of their tree. Unfortunately, you’re shortening the lifespan of your tree if you’re doing this at the wrong time of a year and without the proper tree shaping methods in mind. Just sit tight and vacuum if you need to feel productive, because pruning is a very specialized skill and should only be done at certain times of the year. At some point in history, people started actively pushing the idea that you should be pruning your tree in the fall. Don’t do it. That rule goes for all plants, including shrubs too. Even if the fallen leaves have exposed your tree’s and shrub’s numerous imperfections and you’re itching to get it fixed, hold out at least for another month, if not try to wait for a calm mid-Febuary day, which would probably be best anyway. Don’t worry, we’ll explain our reasoning. It might seem counterproductive, but so are a lot of the trends you’ll find in nature. : pruning actually stimulates growth. Doing it in the fall is forcing the tree to stimulate growth right before it’s getting ready to go dormant. That actually severely weakens plants and stunts them before they can even start growing next year. If you prune on a warm day, the sap will rise up in the plant and drop when it goes below freezing at night. That’s bad for the plant and isn’t anything near the aesthetic you were trying for. Schedule a pruning or trimming in the dead of winter, like mid-February, or mid-January. We recommend getting on Halo Tree Service’s books now. That way, you can rest easy, leave the pruning shears in your garage and not worry about the shape of your trees until mid-winter or even early spring if you’d like. Back to one of our previous points: it stimulates growth. This is especially true for flowering and fruit trees. The more carefully calculated pruning you do, the better your trees will flower, the more fruit they’ll produce and the fuller and more attractive looking they’ll become. The secret to beautifully trimmed and cared for trees is frequent pruning to promote growth that gives you more to trim and more to grow in. It’s a careful balance of maintenance and allowing it to flourish in the interim. Contact us now to schedule an initial maintenance appointment for late winter when pests and diseases won’t spread with pruning. We’ll establish the perfect amount of time between prunings and we’ll help you realize the vision you have for your outdoor space in Macomb. We’re eager to hear from you.